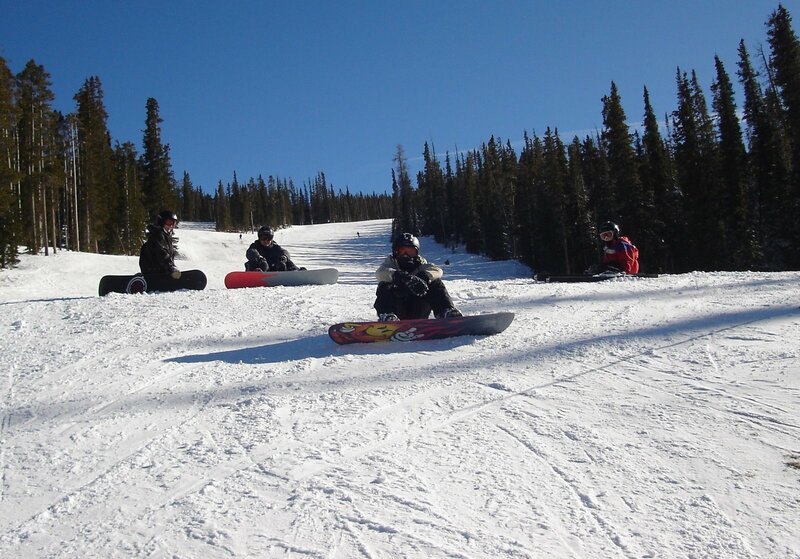 This year, we went back to Keystone and Copper Mountain for our annual ski trip. The weather was perfect, sunny days with temperatures in the 30's. Because of a late start on Saturday, we went to Keystone first so we could take advantage of the night skiing. There was fresh snow, and we had a great time on our favorite runs. It felt so good to be back in Colorado. We went to Copper Mountain on Sunday. It was very crowded, and later on, people were being turned away because all the parking lots were full. The older boys went off to ride the bowls, and Doug and I stayed with our youngest, who favors the blue runs by the TRex Grill. Doug is learning how to snowboard this year. 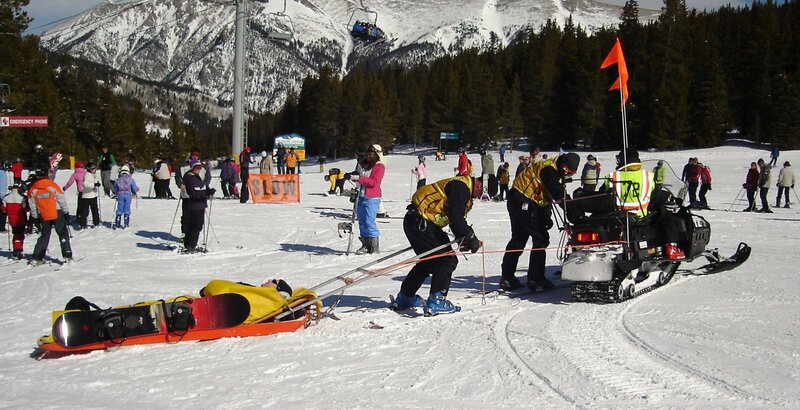 He was doing great, connecting his turns and controlling his speed, but something went wrong, and he took a bad fall at Copper Mountain. We called the ski patrol and their preliminary diagnosis was a broken collar bone, or "right distal clavicle fracture" to be exact. 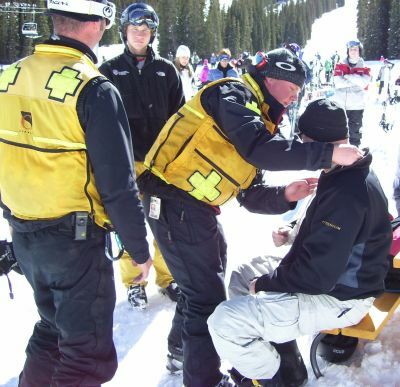 The ski patrol guys were so calm, patient, and friendly. Exactly what you need in a situation like that. They wrapped Doug up in a sled and a snowmobile took him down to the clinic. He told us to keep going, so we had lunch and did a few more runs, then met him at the village. We saw his x-rays that confirmed the fracture. He has a sling, and has to keep his shoulder immobilized for 6-8 weeks. The hardest part for Doug? Having me drive back to Minnesota the next day.